Jan Dannheisig outside the UNICEF Zone Office, Battambang. Jan Dannheisig is completing his undergraduate degree in political science at the University of Göttingen, Germany. 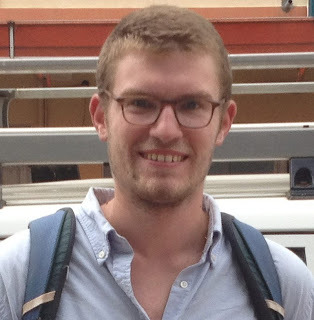 Now conducting research for his thesis about humanitarian interventions and the responsibility to protect, he describes a visit to a UNICEF-supported project in Battambang, which provides the most vulnerable children and youth of Battambang, with an opportunity to access education, artistic and cultural activities. The project is part of a larger programme - the Partnership Programme for the Protection of Children (3PC) - with contributions from the German Committee for UNICEF, the Netherlands Committee for UNICEF and USAID. Battambang province, is located in north-west Cambodia, 291 kilometers from the capital Phnom Penh, and has a population of around 1.03 million. The local population is composed of a large number of former refugee families, repatriated from the camps on the Thai border during the civil war. Some communities are particularly vulnerable, and face, serious social problems such as alcoholism, migration, drugs and gambling. Their children are particularly exposed to violence and do not have access to education. The UNICEF zone office in Battambang, supports initiatives in surrounding provinces stretching along the Thai border, and works to increase access to basic health services, maternal care, child protection, educational opportunities and strengthening the rights of children. When I arrived at the office, the staff informed me about the Phare Ponleu Selpak project (PPS) operating in the Ochar commune. Phare Ponleu Selpak, meaning “the brightness of art” is located on a big compound in Ochar commune, and is a Cambodian non-governmental organisation that aims to support community development by providing access to education, vocational training in the arts and reintegration of children into a family structure. Children from Phare Ponleu Selpak display their acrobatics skills for visitors. At PPS, artistic and cultural activities take place and are designed to support the children who attend by addressing their psychosocial needs and building their self-esteem. The children acquire new skills and generate an income to support their families in an attempt to improve their lives for the future. When I visited the project, the compound was filled with children drawing, dancing, practicing gymnastic routines or playing instruments. PPS offers young children activities and classes for all skill levels. With support from UNICEF, the PPS is strengthening child protection services at the local level, including supporting families to better care for their children. PPS has a leisure centre that welcomes more than 150 children from vulnerable families a day and a library with books in Khmer, English and French. PPS also supports a public school, in partnership with the Department of Education, offering primary and secondary education. Walking around the premises, I met so many happy children as well as the volunteers and teachers. The atmosphere is inspiring and I was very impressed with what PPS had accomplished. I was completely awestruck when visiting the art classes. The skills they are taught and the stories they tell, contribute to some amazing artwork. All artwork can be purchased and the artists get a substantial share of the proceeds. 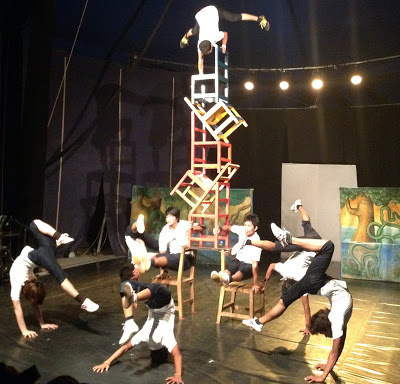 I had the pleasure of watching the show, and was not surprised to learn afterwards, that two of the PPS children will be enrolling at the National Circus School in Montreal, Canada.